“The action did not slack off for bluefish as we hit them at every turn. 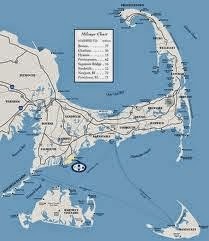 The entire area of Chatham to Monomoy is bluefish, so if it's blues you are chasing here they are. ”I caught a small one at six pounds but Zac nailed a beauty at 14 pounds, a giant. All of our pogies were slaughtered by the aggressive blues.